It bothers me to some extent that almost all the boundaries that shape most African countries – or better, nation-states – were not made in Africa but in Europe, not by Africans but Europeans, in Berlin, Germany, in 1884. The boundaries were designed to serve the interests of Europeans, and were created with no regard to the location of people groups on the continent. Often, boundaries were drawn right through villages or communities, breaking them apart in the interests of their colonial masters. Almost overnight, families were separated, some members in one country and others in another. And today, over 130 years after the Berlin Conference, and 50 years after the end of political colonialism in most of Africa, the boundaries (which I believe is the greatest symbol of colonialism in Africa) remain intact. 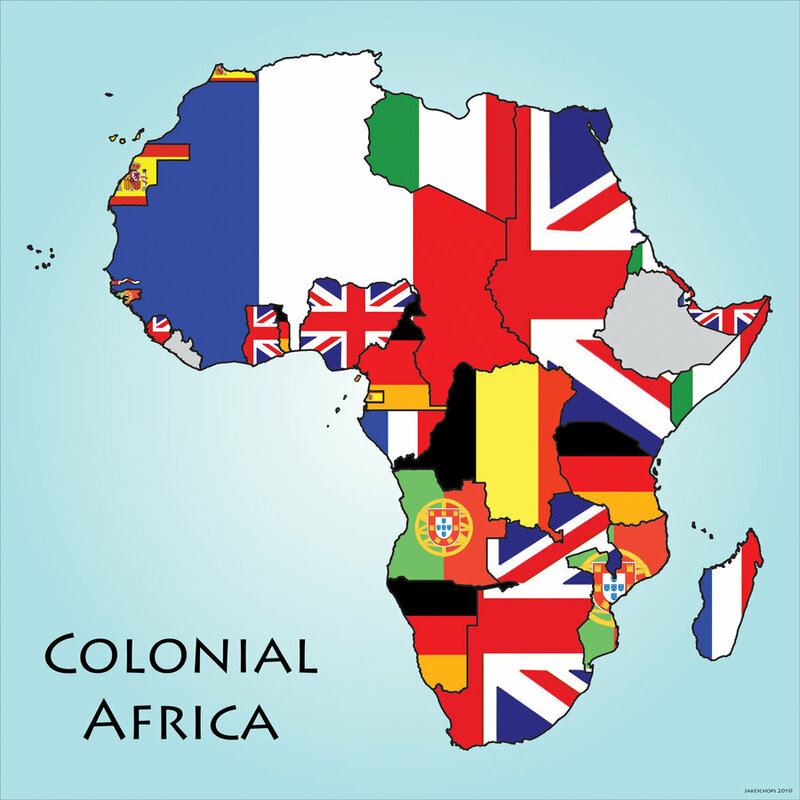 While European countries wanted the mine the resources of whatever colonies they ended up winning, their best take from the partitioning of Africa was the “divide-and-rule” strategy that kept the continent subservient for almost one whole century. But it bothers me even more that African Christianity, especially in the Diaspora, is shaped almost in its entirety by some form of ecclesial nationalism. We have Nigerian churches, Ghanaian churches, Zimbabwean churches, Kenyan churches, and many other “nation-shaped” churches. And those churches hardly mix. In Britain, for instance, the Redeemed Christian Church of God is a Nigerian denomination (and some have suggested it is a Yoruba movement, and thus has only reached a portion of the Nigerians in Britain). Unverified statistics suggest it is over 90% Nigerian. The Church of Pentecost is also a Ghanaian movement (with over 95% of their attendance in Britain having originated from Ghana). The Apostolic Faith Mission is a Zimbabwean and South African movement. We have Malawian churches, Congolese churches, Ethiopian churches, Eritrean churches, etc. For some reason, African Christianity in the Diaspora has been shaped by national identities. In most cases, those churches do not speak to one another. In a sense, I have wondered whether we can actually talk about African Christianity in the Diaspora. It would make more sense to talk about Nigerian Christianity, Ghanaian Christianity, Ethiopian Christianity, etc. I understand that establishing such “national churches” is very pragmatic and ensures church growth. I have also been made to understand that Africans love to worship in their vernaculars and are, therefore, not keen to worship with others of foreign nationalities. And, of course, others have said they are suspicious of any pastor who is not from their country of origin. Excuses unending. While not focusing on the political implications of the “divide-and-rule” that led to the partitioning of Africa, and how it continues to paralyse Africa’s economy (yes, I believe Africa will be stronger when it ditches those boundaries), I wonder what this “division” means to our missional presence in the West. Is it possible to rise up above nationalism in our Christian identity? Maybe Missio Africanus could help get some of those questions started. Hello JB, I see the talk about African Christianity in the diaspora as a misidentification of what is really happening on the ground. Of course, that does not mean that it is not happening on the continent. Here in the diaspora, though, national identity comes first (for so many reasons).